An apple a day keeps the doctor away. I have a story to tell. As a first time home buyer, I was very excited to do things around the house to make it look like a dream home. I had the layout of decor and painting which I started working on in Summer of 2009. Me and my wife had some colors and themes for all the walls in the house. We started painting. Many evenings and a few weekends later, our house was finally painted the way we wanted. It looked beautiful. But what was not beautiful was the shoulder pain that I started getting on my right side. It’s good to be a doctor, but sometimes it is not. Doctors tend to neglect their symptoms sometimes. I kept on suffering for almost 6 months thinking that one fine day, I will wake up with my pain gone with the dreams. Unfortunately, it did not happen. It got worse to the point where it started affecting my daily life. It was time to get an MRI, which no surprisingly showed Bursitis(Inflammation of bursa, a small fluid-filled sac lined by synovial membrane with an inner capillary layer of slimy fluid, similar in consistency to that of a raw egg white. It provides a cushion between bones and tendons and/or muscles around a joint. This helps to reduce friction between the bones and allows free movement). Over next 1 year, I had 3 cortisone shots and months of physical therapy for my shoulder with no relief. The only way left was surgery. Being into natural ways of healing, I started researching what could be the best non-surgical options. I came across Apple Cider Vinegar(ACV). Within few weeks of daily intake, my shoulder pain was almost gone. I also had borderline Diabetes with sugars in 100-110 range. My sugars now run in 70’s range. Now ACV is a part of my life and I take it atleast twice daily everyday for good health. Apple Cider Vinegar is a very potent, natural bacteria-fighting agent that contains many vital minerals and trace elements such as potassium, calcium, magnesium, phosphorous, chlorine, sodium, sulfur, copper, iron, silicon and fluorine that are vital for a healthy body. 1. Weight loss: A study published in Bioscience, Biotechnology, and Biochemistry in 2009 found that obese people who consumed acetic acid daily for 12 weeks experienced significant decreases in body weight, abdominal fat, waist circumference, and triglycerides. In tests on mice, another 2009 study (published in the Journal of Agricultural and Food Chemistry) found that acetic acid may help prevent the buildup of body fat and certain liver fats. 2. Diabetes: In a 2007 study published in Diabetes Care, researchers found that type 2 diabetes patients who consumed two tablespoons of apple cider vinegar at bedtime showed favorable changes in blood sugar levels the following morning. ACV should be taken in a natural form like ‘Bragg Organic Raw Apple Cider Vinegar‘ (which I use), 2 TSP in a glass of water 2-3 times daily with meals. Make sure to rinse your mouth with water after each intake to avoid enamel damage. Who should avoid? People with low potassium and osteoporosis. Avoid pill forms as it may damage esophagus sometimes. 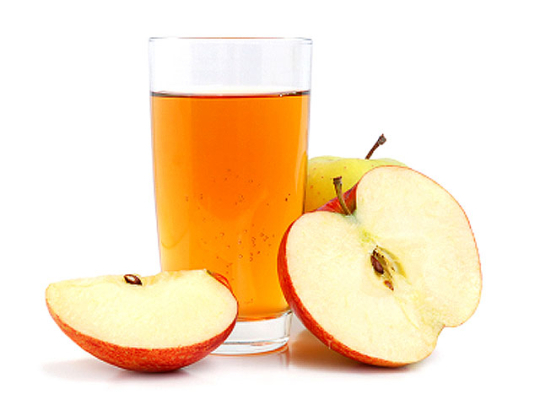 Apple cider vinegar may interact with certain drugs such as digoxin (heart medication), diuretics like lasix (furosemide), prescription laxatives and insulin. Consult with your doctor before you start taking any of those medications to make sure it will not interact with any of your prescription medications.